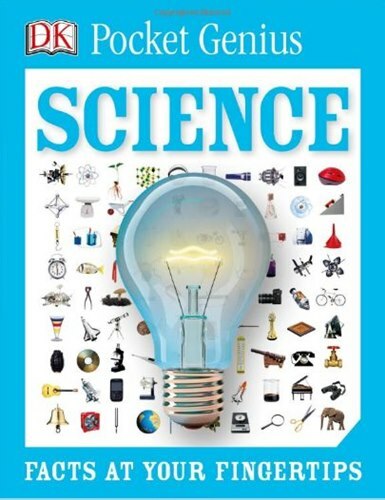 Covering the basic principles of science, including matter and materials, energy and forces, and the living world, Pocket Genius: Science is a junior look at science, teaching young readers what things are made of, how things move, and how life works. Touching on biology, chemistry, physics, and more, Pocket Genius: Science answers questions such as Why do lemons taste sour? Where does electricity come from? How do plants make their own food? and more to help explain everyday science in our world. Redesigned in paperback, DK's best-selling Pocket Genius series is now available in an engaging compact and economical format that is ideal for both browsing and quick reference for use in school and at home. Catalog entries packed with facts provide at-a-glance information, while locator icons offer immediately recognizable references to aid navigation and understanding, and fact files round off the book with fun facts such as record breakers and timelines. Each pocket-size encyclopedia is filled with facts on subjects ranging from animals to history, cars to dogs, and Earth to space and combines a child-friendly layout with engaging photography and bite-size chunks of text that will encourage and inform even the most reluctant readers.